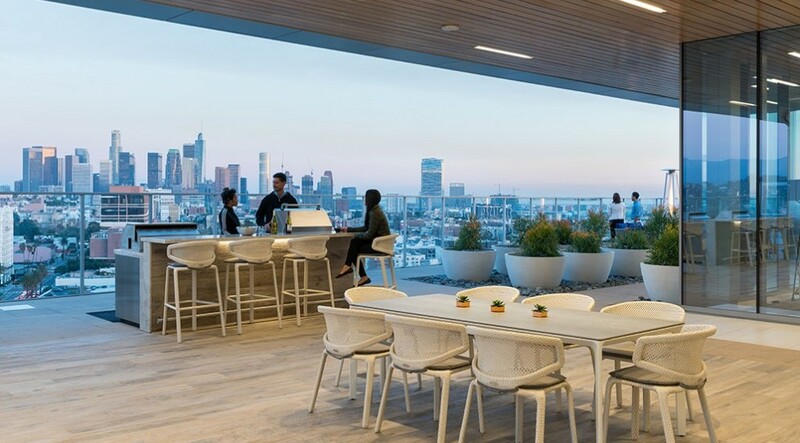 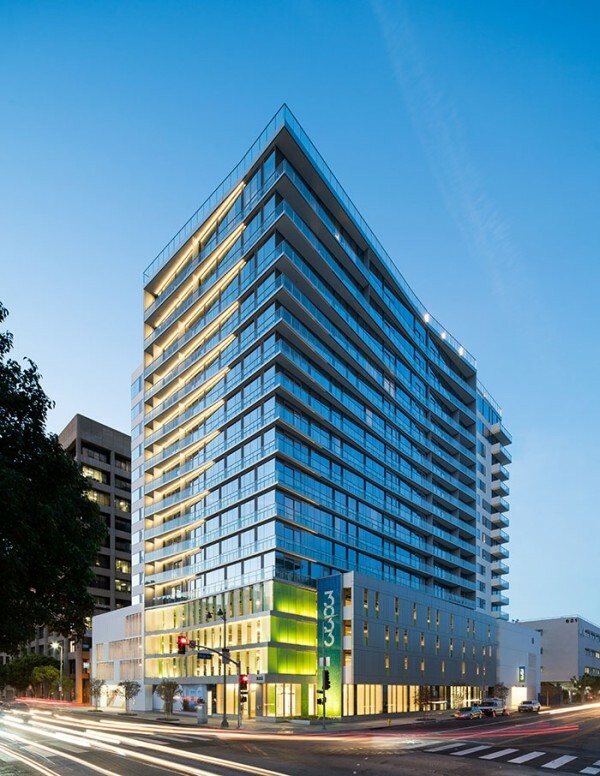 The mixed use development at 3033 Wilshire Boulevard is residential tower with ground floor retail and parking space on the first five floors. 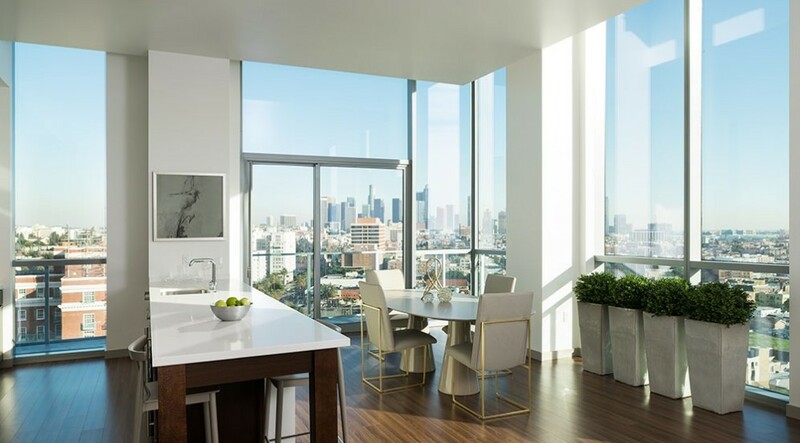 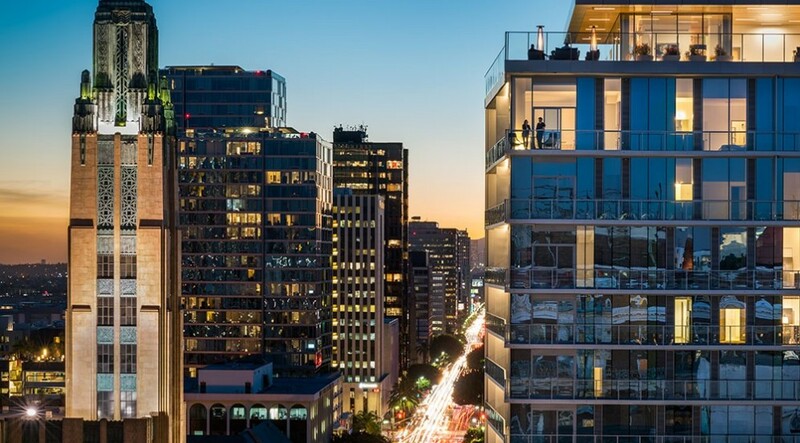 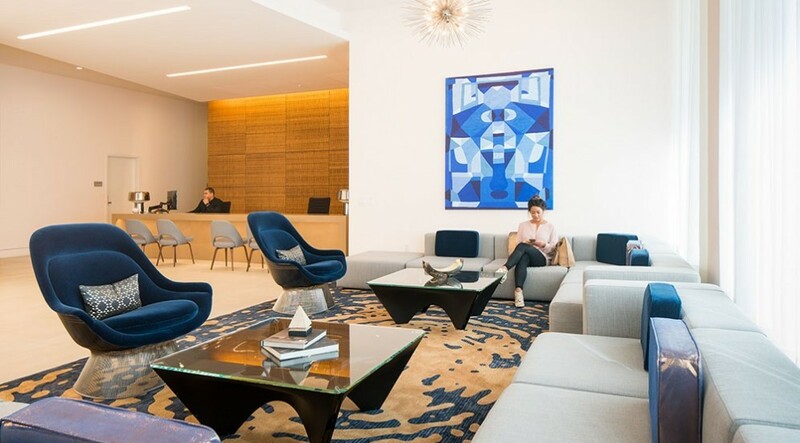 The development includes units ranging in size from studios to two bedroom and penthouse units featuring a skydeck amenity level with a clubhouse and an outdoor pool and spa. 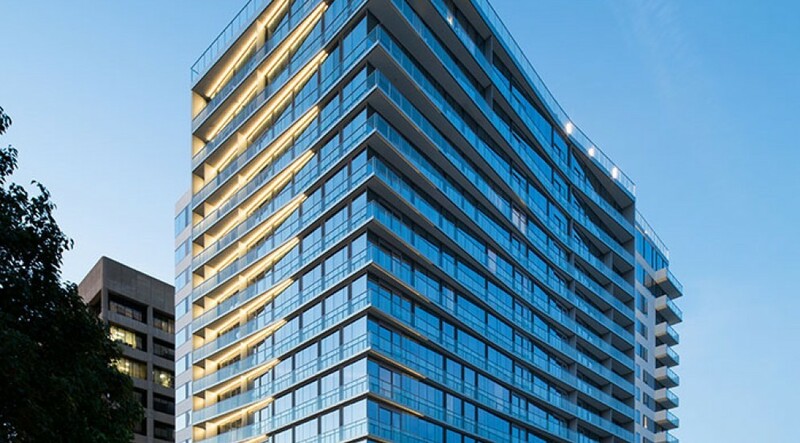 Other amenities inlude a fitness center, bike and tenant storage spaces, rooftop graden terrace and a helistop.